Investment in smart city policies, technology and the creation of several sandbox environments are putting Vilnius at an advantageous position when it comes to attracting technology startups in the world of real estate. Cannes, 12th March 2019, The Lithuanian capital Vilnius has long had a favourable business environment attractive to foreign businesses and investment. Over the last years, it has been a pioneer of smart city policies and open data. As a result, the city has become an important startup hub for technology companies with a thriving ecosystem, particularly in Fintech. 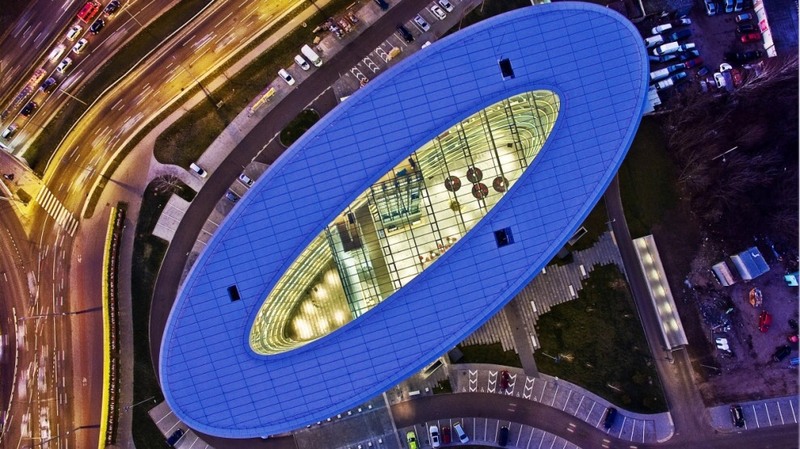 Last year, Vilnius unveiled a PropTech sandbox with 2.5 million square metres to help companies in their early stages, making Vilnius one of Europe’s most exciting locations for businesses in real estate technology. Vilnius has invested in its future with smart city policies for years and even adopted a radical open data policy in which municipal data must be shared by default, to be held back only if it poses a security threat or violates GDPR. The city provides not only raw data, but also the means for the public to easily access and digest it. For instance, an interactive online map with municipal information of planned projects, projects underway, educational institutions, transport information, leisure areas, and more. Building projects, maximum building heights, and many more data points can also be viewed in 3D. This wealth of information opens a world of possibilities to the private sector. One of the most successful companies to make use of city data to add value has been Trafi. Their technology allows to map the real-time position of buses, traffic jams, construction sites, and areas affected by adverse weather conditions, thereby enabling to make smarter decisions when travelling. Trafi’s success in Lithuania led it to work with Rio de Janeiro and Berlin, as well as the likes of Lyft, Volkswagen and Google. Reducing time spent travelling from A to B is a big priority for the city under the new strategy and Vilnius prides itself on being the world’s capital of car sharing with the highest number of trips per capita. To add to the mobility mix, the city will roll out a free-float scooter sharing system in the spring. “Right now, Vilnius is the most exciting city in the world for PropTech startups. We have opened our data to the public and we will also be opening the municipality’s buildings to the Realbox PropTech sandbox. As a city, we want to attract the brilliant minds that will come up with the solutions of tomorrow so we are providing the best possible platform and tools for them to be able to do so in Vilnius,” said the Mayor of Vilnius Remigijus Šimašius. “We have over 200 ongoing open data projects. For us, sharing numbers and information is vital, not only for transparency, but also in order to inspire actors in the private sector to come up with ideas that will solve real life problems. Sharing information and allowing businesses to solve issues is a more efficient solution that allows us to reduce bureaucracy,” explains Povilas Poderskis, Chief Executive Director of Administration at Vilnius City Municipality. showcase its products to international prospects in an environment comparable to the prospect’s own. With Realbox, Vilnius hopes to replicate the success already seen with Fintech sandbox, and build on the already thriving tech startup ecosystem. The Fintech scene in Vilnius is one of the most important in the world with 170 companies, and is second in Europe only to the UK in numbers of Electronic Money Institutions (EMIs).